If you’re wanting to use more all natural products in your home but are still in search of an effective alternative to Febreeze that will neutralize tough odors then you’ll definitely want to try my natural deodorizing homemade lavender linen spray recipe! 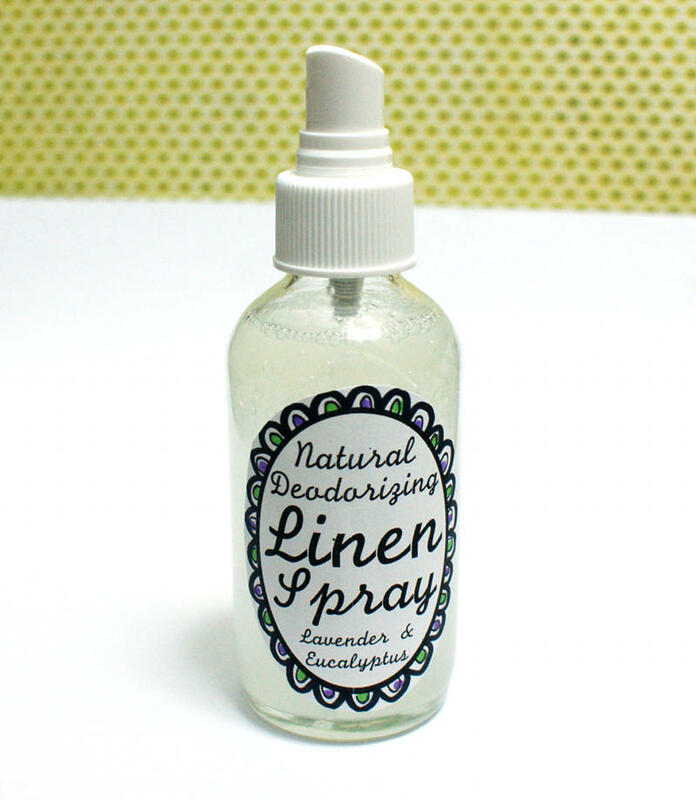 This natural homemade linen spray recipe knocks out tough odors – I use it on my dog’s bed! – and leaves behind a fresh, clean scent that comes from natural essential oils. While white distilled vinegar neutralizes even the toughest odors without that vinegar smell. Plus it’s super concentrated so a little goes a long way. Use it wherever you need to kick nasty odors or simply freshen up a room. 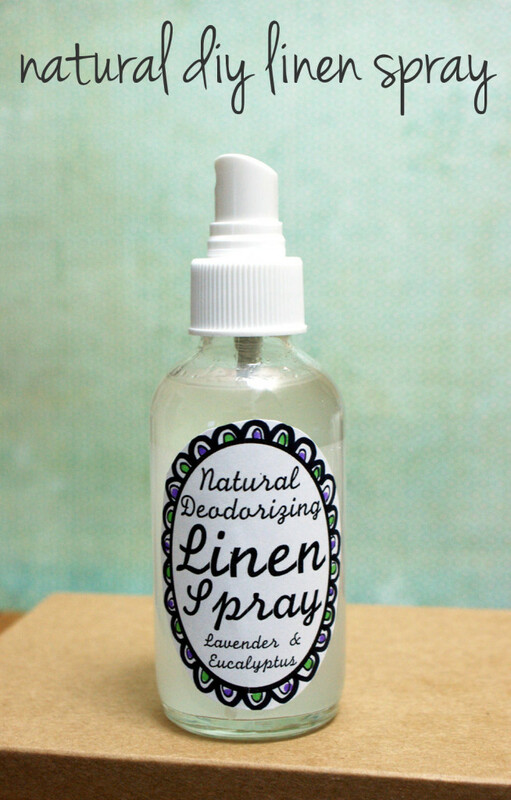 To make your own natural homemade lavender linen spray you’ll need a 4 oz. glass bottle with a fingertip mister, a 100ml glass beaker , a small funnel and the ingredients for the linen spray below. I also created free printable labels for this natural deodorizing eucalyptus and lavender linen spray that you can download below. Measure out the vinegar for your homemade lavender linen spray recipe in the beaker and then use the funnel to pour into your glass bottle. Repeat with each of the essential oils then screw on the lid and shake to mix. Spray onto clothing, furniture, fabrics and those stinky shoes to neutralize and eliminate tough odors. Shake before each use. To label your homemade lavender linen spray recipe simply print out my Natural Deodorizing Lavender & Eucalyptus Linen Spray labels here. They’re free for personal use. For more natural and green alternatives to everyday products you use in your home be sure to follow my DIY Lifestyle Tips board on Pinterest as well as my DIY Bath & Body Pinterest Board. Or follow Soap Deli News via Blog Lovin’ so you’re sure to never miss a post!